Liverpool have named their starting XI to take on Bournemouth at Anfield this afternoon, with one specific tactical decision from manager Jurgen Klopp making a large number of fans overjoyed. The Reds take on Eddie Howe’s Bournemouth at home today, with a win set to see the Merseyside club go back to the top of the league, overtaking Man City in the process. 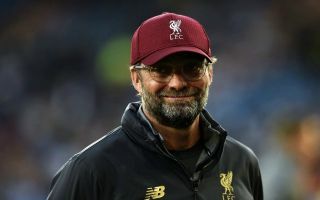 Liverpool look like they mean business today, as they’ve started a near full-strength side to take on the Cherries, with Klopp opting to go with his usual attack of Sadio Mane, Roberto Firmino and Mohamed Salah. However, this decision to start these three in attack isn’t the thing that has Liverpool fans most excited, but Klopp’s choice to start with a midfield three of Fabinho, Naby Keita and Georginio Wijnaldum. It’s one of the only times this season that Liverpool have named all three stars in midfield, and judging by their reaction on Twitter, a large number of the club’s fans are over the moon with Klopp’s choice to start the trio. You can check out some fans’ reaction down below. We can tell they’re excited for today’s match even more following the announcement of Liverpool’s starting XI! Yessss. That should be our midfield lineup for the rest of the season. We have been calling for that midfield all year!!!! What a team. What a midfield! !